Fools Drink and Ride - Motorcycle Safety Institute of S.A.
With long weekends, holidays, or any other day for that matter giving an opportunity to the ride of a lifetime or the last ride of your life, getting on your bike intoxicated and filled with ignorance, arrogance will most definitely numb more than just your senses. If you are reading this, consider yourself lucky, given another chance to change your way before you ride. Would you agree that drunk riding is a significant contributing factor to motorbike crashes? Alcohol intoxication is a significant risk factor for fatal traffic crashes; however, there is insufficient research on the impairing effects of alcohol on the skills involved in motorcycle control. Do you believe that there are similarities to what we find among drunk driving with regards to the high number of incidents during weekends, at nights and with regards to the younger age group of road user? Older motorcyclists account for more than half of all motorcyclist fatalities. It is true that weekend riding going hand in hand with bike events; do contribute to an ever increasing accident rate. Night riding is something many riders choose not to do due to the increased risk that comes with a lack of visibility. That said, motorcycle riders involved in crashes at night were almost three times more likely to have BAC levels of 0.08 percent or higher than those killed or injured during the day. 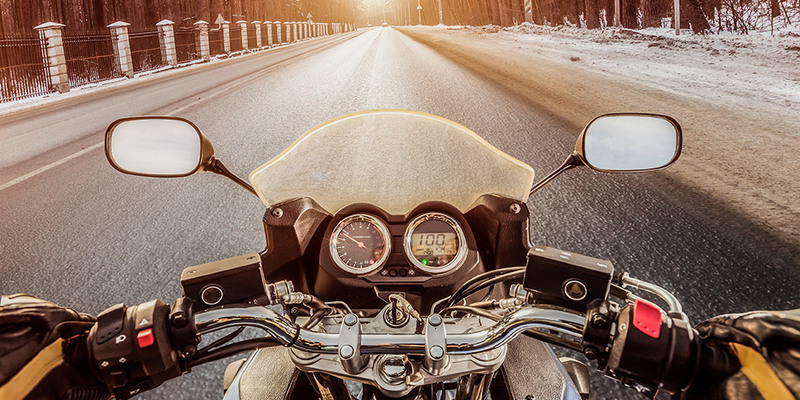 Older riders appear to sustain more serious injuries than younger riders as a result of declining vision and reaction time, along with the larger-sized motorcycles that older riders favour, and the increased fragility among older riders. Add alcohol to the equation and you have a recipe for disaster. Why does intoxication have a huge impact on the riding ability of a biker – which senses and abilities are affected the most? Intoxicated riders will demonstrate longer response times and will show larger tolerances when required to perform under pressure. Most of the alcohol effects are evident at 0.08% alcohol level, but some of the effects can already be observed at the lower 0.05% alcohol level. The effects of alcohol on motorcycle control and rider behaviour (reaction time and response time) will increase as and when task demand increases. Experienced riders, however, will perform better, but less experienced riders in more challenging situations will have a larger effect. A motorcycle requires more skill and coordination to operate than a car. Riding a motorcycle while under the influence of any alcohol significantly decreases a rider’s ability to operate it safely and effectively. Alcohol affects the brain, vision, hearing, muscle response, and the sense of balance. What would be the main causes for the impaired rider to be involved in single vehicle collisions as compared to crashes into other road users/vehicles? You don’t have to be drunk as a skunk to simply fall off your motorcycle. Loss of control starts with perception, and alcohol severely affects that perception of balance, reaction and response time. Misjudging a corner coupled with speed, running wide, failing to stop on time, failing to identify road hazards can and will put the rider in harm’s way. Most who drink and ride think they do, until they are ripped from their ignorance and dropped in a situation only to wake up in a hospital; bruised, broken and charged with involuntary manslaughter. And these are the lucky ones. There are the 1’s and 2’s who would sleep it off before getting back on the motorcycle the next morning. For an intoxicated driver it is not that difficult to find a sober designated driver – Is it fair to say the mode of transport makes it more difficult for bikers to get home safely? Almost every biker who rides a motorcycle has family or friends who don’t. It is, therefore, a simple phone call, for a safe and no-complications trip home. It is surely not common for a rider to take an able passenger with, who will, in turn, carry a drunk passenger; his own life is at stake! How do you hold a drunk on a bike and still operate the bike effectively and safely? A real “brother” will take the keys off a fellow rider if he or she has been drinking. Not help him back on the bike when he falls off, then go on to get himself killed and hurt others, but rather completely prevent him from riding in that condition. He might fight you on the subject but will thank you in the morning when he is still alive, and his bike in one piece. Is it true that and is it fair for the community to stigmatize bikers as a bit of a “wild bunch” where riding often goes together with a few alcoholic beverages? Of course it is! You don’t have to be a biker to be part of the “wild bunch” (no pun intended), and you sure as hell don’t need alcohol to make the event a success or enjoyable. Drinking and drunk motorcyclists are creating a specific awareness in their local communities, an awareness that stinks and degrades the general perception of those who choose to be part of the “sober bunch”. Alcohol plays a role alright, but speed is the single biggest contributor to fatal motorcycle accidents. More than 33 percent of all motorcycle riders involved in fatal crashes was as a result of excessive speed. Alcohol has the ability to make a person aggressive or festive, and neither belongs on a motorcycle. Would intoxication also lead to a failure to wear all the protective gear? No this is hardly the case. A rider would either choose to wear PPE or not, in the same way, he chooses to drink or not. Now whether he puts the gear on properly when intoxicated, remains a subject for further debate. Can Bike Clubs play a role in reducing these tragic deaths among members and if so, how? Oh, of course they can, but do they want to? I wonder how many members a club would have if they ban alcohol anywhere near a ride? None! Some clubs have rules along the lines of “Booze and Bikes don’t Mix”, but I have not been to a Rally or Day Jol where no alcohol was served, except on some religious events and funerals. Surely they can be more creative than just a drink and a ride. It is the brotherly love of the matter. If they really care for one another, and I know they do, then they will set rules to help a fellow biker! Is there anything that an Event Organizer should do to ensure the safety of riders to and from the event and a possible focus on reducing incidents of intoxicated riding? Event organisers are in it for the money, and if it means selling alcohol to the masses then so be it. Why would they be responsible or held accountable? Most of your major motorcycle events are sponsored by alcohol vendors and manufacturers because drinking is what bikers do. They want to relax with a cold one, get mellow and festive. What I believe they should do is at least offer alternative transport to those who are intoxicated; not free of charge of course, but at least employ the services of such a service provider. Also offer safe and secure storage of an intoxicated rider’s motorcycle, again at a charge if they like. There is always a Plan B, but they are so stuck on Plan A to make a buck than to see the intoxicated rider as a potential fatality. An intoxicated rider is a disaster waiting to happen, and an alcohol-selling event organiser is just too happy to speed things along. What would be your best advice for bikers and the need to avoid drunk riding? Riding a motorcycle under the influence of alcohol is the most selfish thing any rider can do. Maybe he is an alcoholic and he can’t help himself, but someone else can. Instead of standing there laughing at this pathetic situation, taking photos or video and posting it on social media, jump in and help. Be a real man, brother or sister! Don’t just drink, eat something wholesome; NO don’t drink another one but wait an hour before you get back on your bike. For each beer you drink, have a glass of water (not coffee), this will dilute the alcohol level. And don’t come with the excuse of “beer is about 90% water anyway”. If you think this way, you’ve already had too much. Drinking and NOT riding is a choice you make, the same choice you make to come back to your loved ones after the ride. Don’t drink as if there’s no tomorrow, you have people who care about and love you – Choose Life! Any other aspects we need to highlight which have not been addressed? Approximately 40 percent of all fatal motorcycle crashes involve alcohol. A motorcycle crash is a complex and violent event involving the interaction of human, motorcycle, and surrounding factors. More than 80 percent of all reported motorcycle crashes result in injury or death to the motorcyclist. Adding alcohol to the mix will most certainly NOT bring this number down, but using and selling alcohol more responsibly definitely will. Drinking and riding is a choice; become part of the solution and not part of the problem – Ride Sober!